This DKN set contains 10 pairs of Rubber Hex dumbbells ranging from 2kg to 15kg and comes with a storage rack. 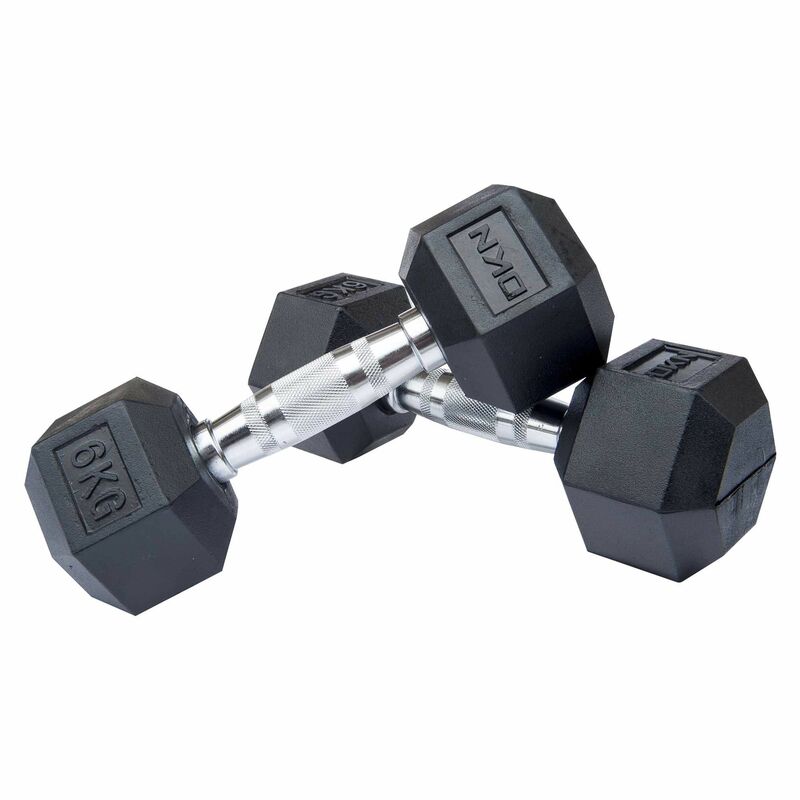 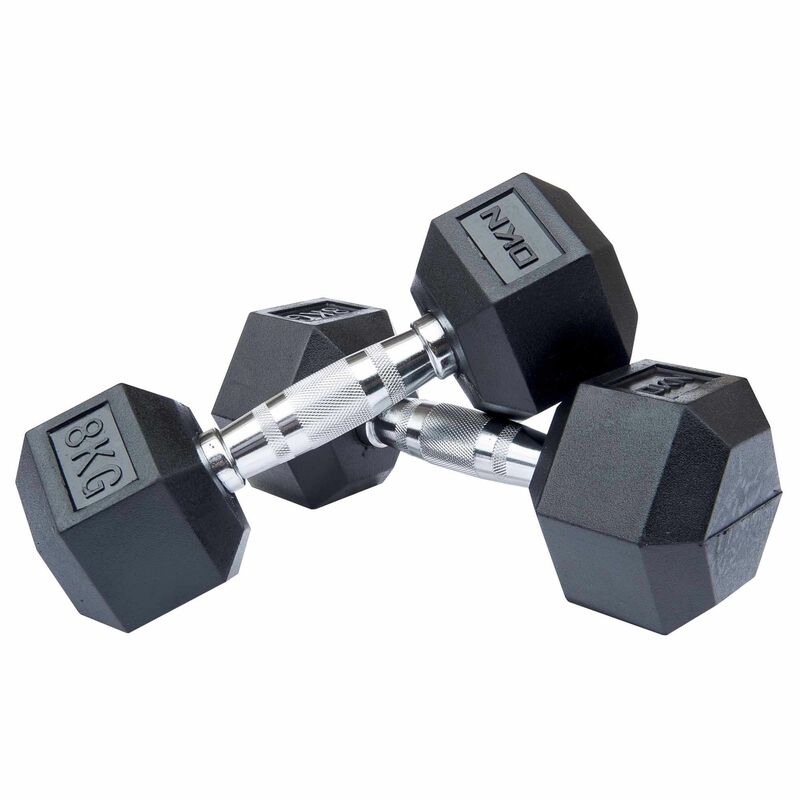 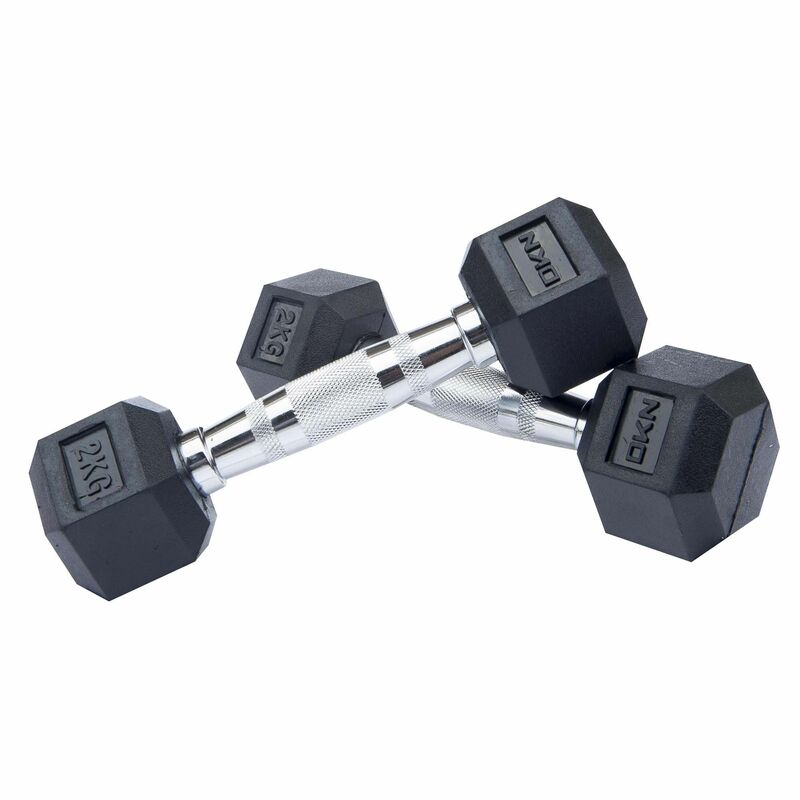 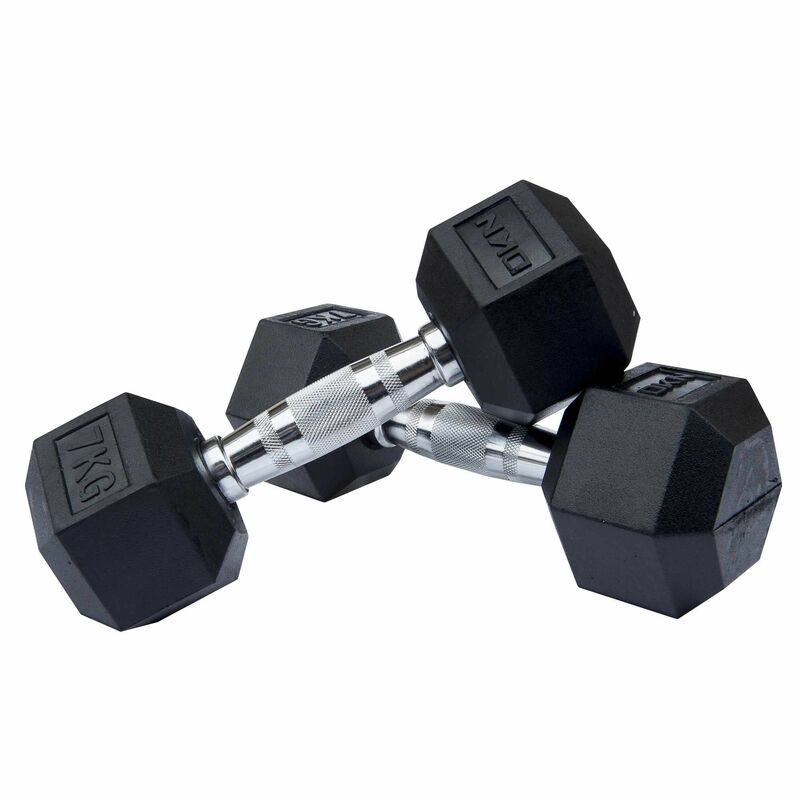 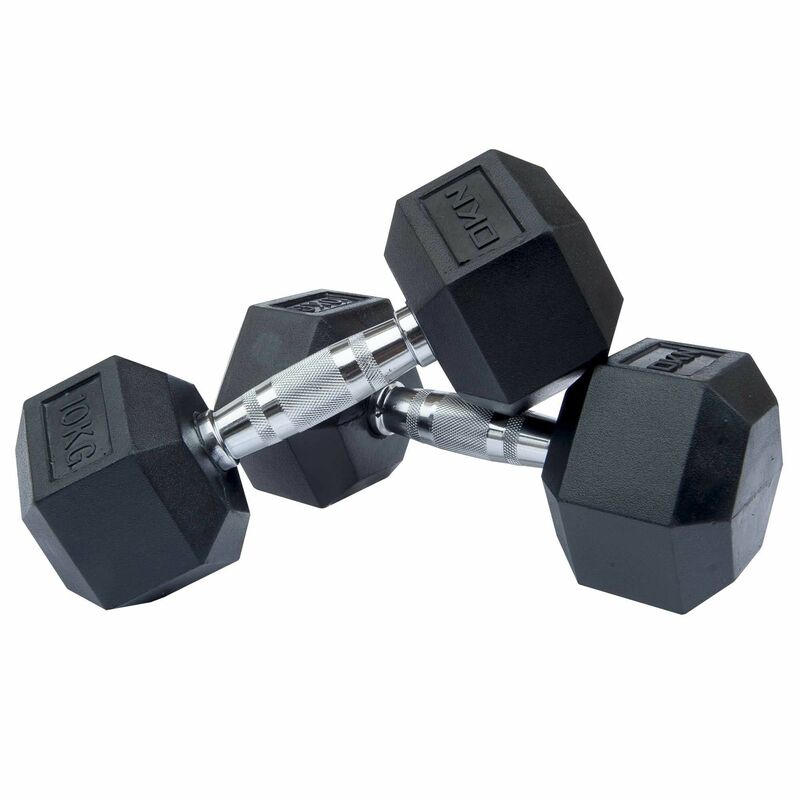 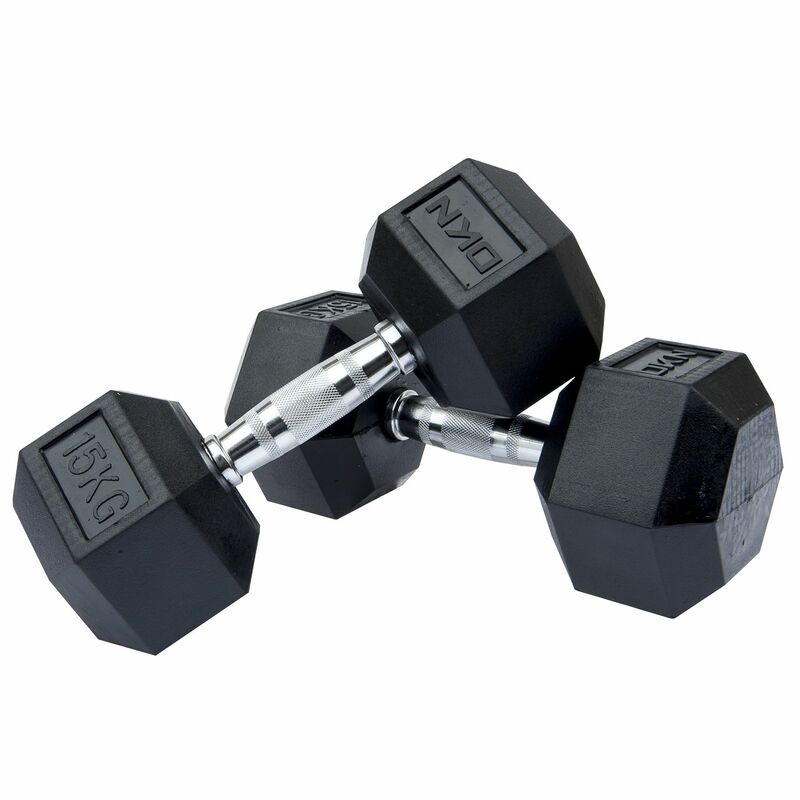 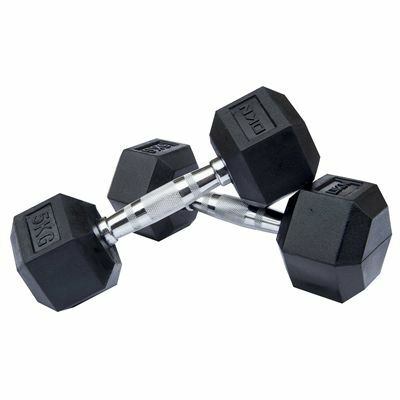 The hexagonally shaped heads stop the dumbbells from rolling away and the high-grade rubber coating makes them more durable and better protects against floor damage. 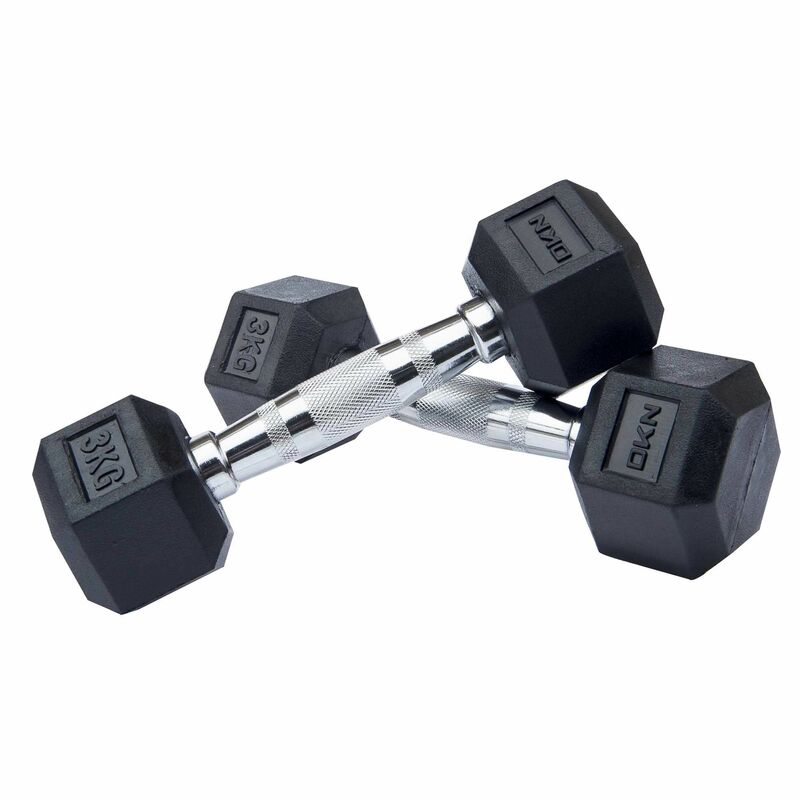 The knurled handles are solid steel and have been ergonomically engineered. 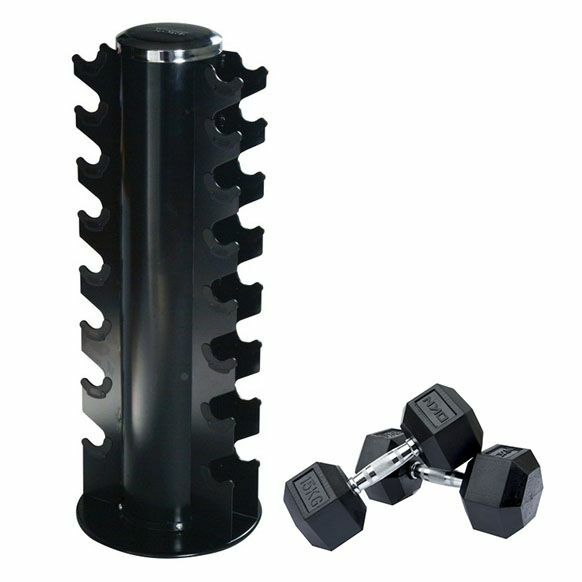 The space efficient York storage rack will hold the 10 pairs of dumbbells, making them easily accessible, and the “Anti-pinch” design helps to prevent hand injuries when returning the weights. The set is intended for domestic and light commercial use. 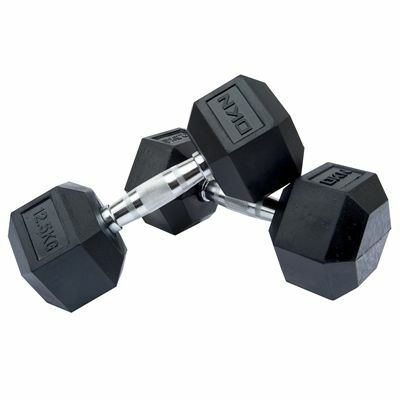 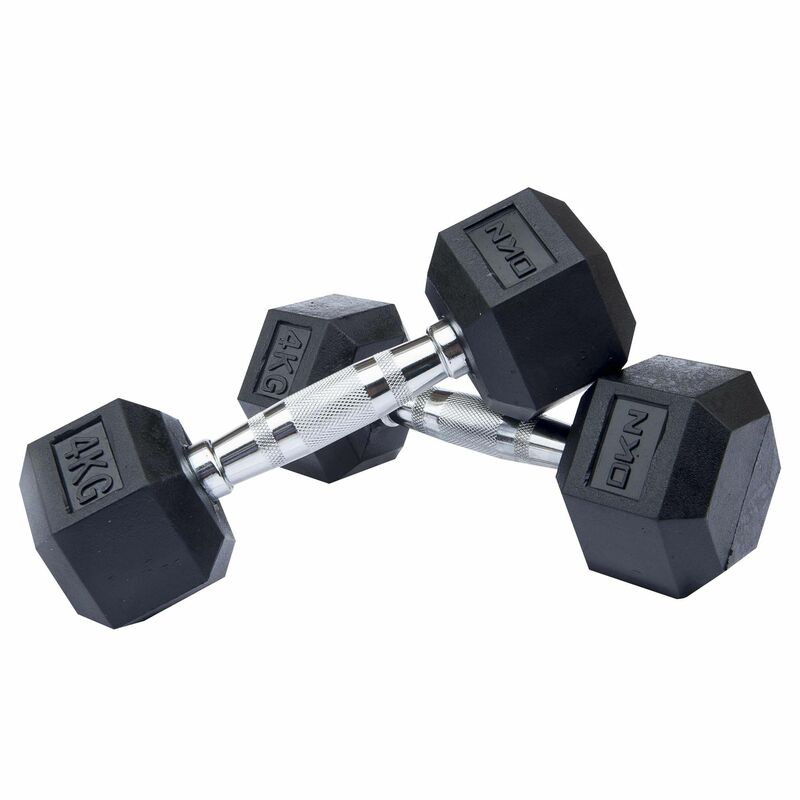 for submitting product review about DKN 2kg to 15kg Rubber Hex Dumbbell Set with Storage Rack - 10 Pairs.